In order to perform this debugging we need a free debugging tool called Fiddler. So if you do not have this installed please download & install this to your PC. In order to perform debugging you need to start fiddler. It should look something like the screenshot above. 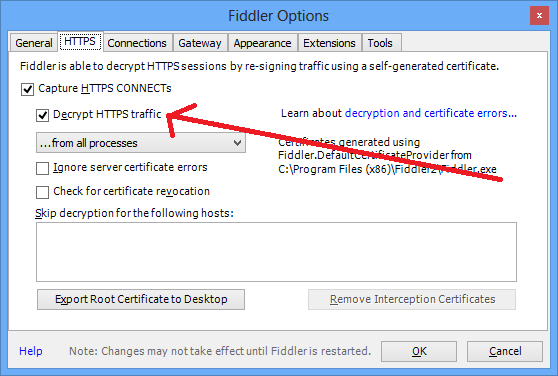 If the CRM system you are accessing runs under HTTPS \ SSL then go to Tools -> Fiddler Options and enable the 2 chechboxes as shown in the screenshot below. Note some popups will appear and you can just accept these. Now that fiddler is up & running you need to navigate to the webpage in CRM & perform the desired action. This could be changing the value of a field on the form which would then trigger the North52 formula to execute. 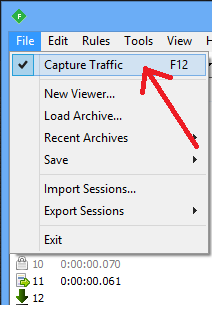 You can now click File -> Save -> All Sessions to save a file which will contain this interaction. Finally you can send this file to support@north52.com to get it reviewed & a resolution to your issue.